Yesterday in a used record (yep vinyl) store a 19 y.o. (guessing here) girl and her boyfriend were laughing over Duran Duran, Spandau Ballet & Rod Stewart records as they were soooooo “old” and “ridiculous”. This girl fancied herself a music lover but her arrogance at everything that came before her moment of semi-awareness was sad. She presented herself as being a bit alternative; I’ve got a better idea of what is going on than you sort of thing, but after declaring a very common (and rather ripped up) Best Of Spandau Ballet rare I felt left in no doubt. This record is a dime a dozen and unless on colored vinyl has a collect-ability factor of about 1%. Where do these kids think that the music of today came from? Do they think that people Lady GaGa sprung from the ground like a Plants v.s. Zombies critter and invented their art out of thin air? Did Mr Skrillex invent the whole idea of chopped up electronic dance music? Do kids think that Frank Sinatra, Acker Bilk, Elvis, Rod Stewart & even Gary Numan have no connection or even relevance to the musicians they think so grand? If they do, how do they justify what they hear today? I guess by and large they don’t. Yesterday is irrelevant and tomorrow is a fantasy that can’t come because they have no idea of how to draw a line from yesterday, through today to a possible tomorrow. Maybe that is good as it lets them feel they are covering new ground but maybe it is bad because it means they never get to try anything really new. 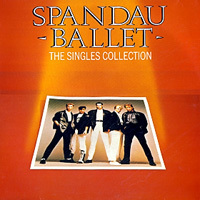 The girl bought the Spandau Ballet record, and I’m glad she did because maybe after listening to it a few times, for a laugh, she will start to appreciate it for what it is: good music. Simply that. Maybe then she can start to be a true music lover. The affordable Sampler instrument replacing the hard work of tape (Emax, Mirage) – Cabaret Voltaire circa-1983 plus the slightly obscure but incredibly important members of Tack>>Head who really blurred the boundaries between musicians and producers far more than even Trevor Horn. Pump Up The Volume by M|A|R|R|S in 1987 and the popularity of Stock Aitken & Waterman with them becoming a household name, greater even than some of their talent (Rick Astley, Yazz, etc). The Theme from S’Express 1989 cemented House as the new music. The Prodigy, Fatboy Slim & The Chemical Brothers 1995-2005 were the next hi-lights who kept the choppy style alive. House kept trying to stay fresh by constantly evolving marginally different sub-genres but the growth of software studio or DAWs like Fruity Loops and Ableton Live lead to a reemergence of Noise & Musique Concrete techniques being being used to create more micro-controlled “beats” that paradoxically go under the title of Glitch (a random error). 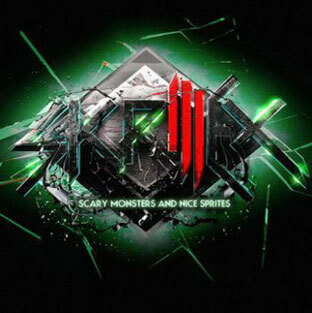 That leads us to Skrillex who, till recently was singer in a Hard-Core Metal band “From First To Last”, does something that is a bit exciting but in many ways a massive throwback. BTW I have skipped to a KMFD album on YouTube and it is much better music.